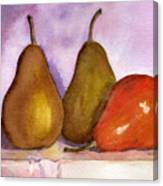 Leaning Pear is a painting by Lynne Reichhart which was uploaded on October 7th, 2010. 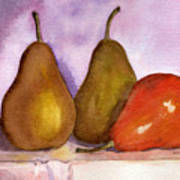 Watercolor still life. I loved the color of the red pear. The red with the yellows and purples make a nice combination. This would look great in a living room, dining room or kitchen! 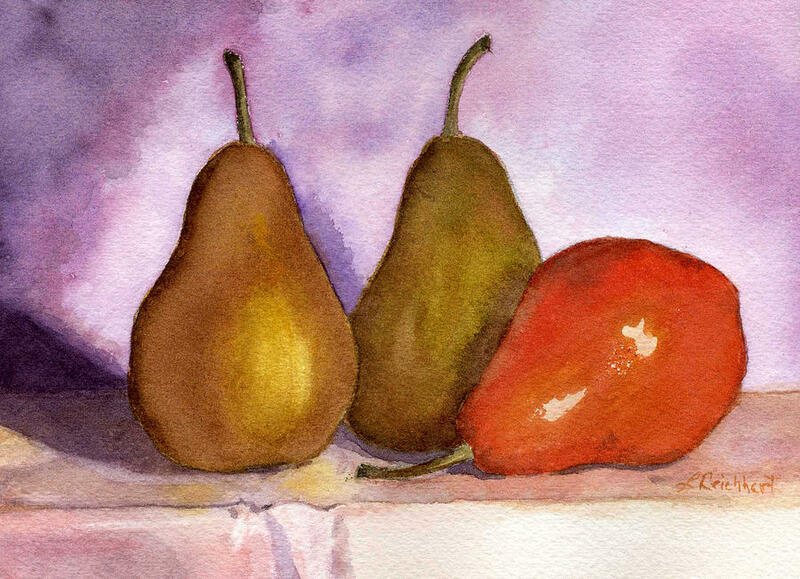 Beautiful work...I'm a sucker for pears! Thank you, Diane and Alanna! Love pear paintings, and yours has more colors than most. Really a gorgeous painting. Thank you for sharing. Wow. I really love the colors!